"Remember who you are. Don’t compromise for anyone, for any reason. 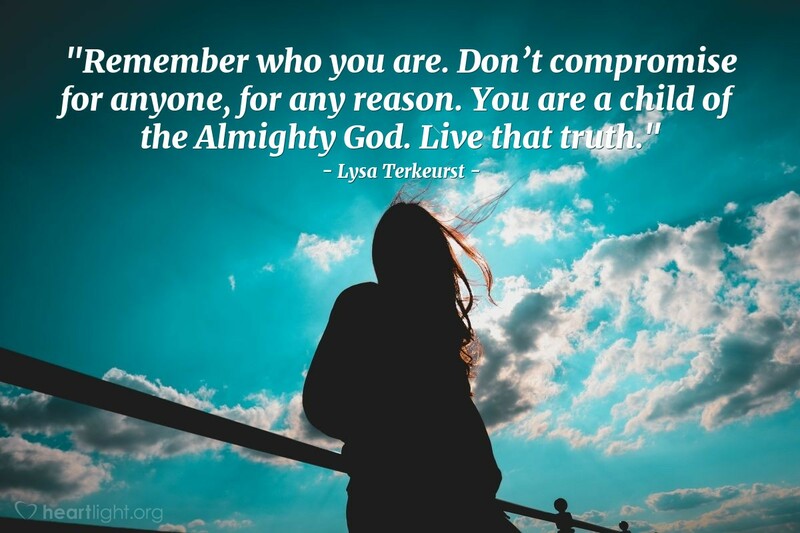 You are a child of the Almighty God. Live that truth."